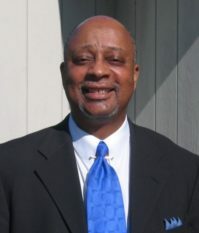 William (Rick) Badger Jr is a Licensed Professional Counselor (LPC). Rick graduated from Wheaton College Graduate School, Wheaton, Illinois with his MA (Master of Arts in Counseling Psychology) in 1983. Rick is an Ordained Minister and has served congregations as an Associate Pastor and Senior Pastor for 35 years (1983 -2018). Rick is also a retired senior Federal Probation Officer for the Western District of Wisconsin. Rick is certified to administer the Prepare-Enrich Relationship Inventory: a tool utilized to strengthen a couple's relationship. Rick has also completed our specialized training to integrate one's own faith into the therapy process. For more information, please visit our Frequently Asked Questions page. Rick works with Couples, Adolescents (Ages 13-17), Adults (Ages 18+), and Senior Adults (Ages 60+). Rick is an avid bowler. He enjoys professional and amateur athletic contest. He delights in singing, playing chess, watching quality movies, and reading. Rick also enjoys listening to jazz music, playing the guitar, traveling, and spending time with his wife, four adult children, and his 4 grandchildren.